Thomas Watt Gregory served as attorney general of the United States under President woodrow wilson from 1914 to 1919. Because his term of office coincided with the entry of the United States into World War I,Gregory's Justice Department experienced tremendous growth. He presided over the creation of a war emergency division within the Department of Justice, and he watched the Federal Bureau of Investigation (FBI) grow to five times its prewar size as he worked to enforce U.S. laws pertaining to Espionage, Sedition, sabotage, trading with the enemy, and selective service compliance—in addition to pursuing the general interests of the U.S. government. It is fitting that Gregory's service to the United States came in a time of war. Born November 6, 1861, in Crawfordsville, Mississippi, he was, in many ways, a child of war. His father, Francis Robert Gregory, a physician and Confederate army captain, was killed during the early days of the Civil War. His mother, Mary Cornelia Watt Gregory, a delicate woman mourning the loss of her first child, was unable to cope with news of her husband's death. As she drifted in and out of melancholy, the upbringing of her remaining child, Gregory, fell to her father, Major Thomas Watt, a Mississippi planter. By all accounts, Gregory's grandfather was a stern taskmaster with a strong commitment to education. Gregory graduated from Southwestern Presbyterian University, in Clarksville, Tennessee, in 1883. Driven to please his grandfather, he had completed his course work in just two years. From 1883 to 1884, he studied law at the University of Virginia. In 1885, he received a bachelor of laws degree from the University of Texas. Later that year, he opened a law office in Austin, Texas. In the early 1890s, Gregory began forming some important partnerships. On February 22, 1893, he married Julia Nalle, the daughter of Captain Joseph Nalle, an Austin native. They had two sons, Thomas Watt Gregory, Jr., and Joseph Nalle Gregory, and two daughters, Jane Gregory and Cornelia Gregory. He also formed a law partnership with Robert L. Batts. Together, they successfully represented the state of Texas against Waters-Pierce Oil Company, a subsidiary of Standard Oil of New York, charged with violating Texas antitrust laws. The company was found guilty and enjoined from doing further business in Texas. The case was appealed, and was ultimately affirmed by the U.S. Supreme Court (Waters-Pierce Oil Co. v. Texas, 212 U.S. 86, 29 S. Ct. 220, 53 L. Ed. 417 ). The company paid a heavy fine and ceased to operate in Texas. While partnered with Batts, Gregory also served as assistant city attorney of Austin, from 1891 to 1894. As his reputation grew, he was offered a number of political appointments, including the assistant attorney generalship of Texas in 1892 and a state judgeship in 1894. Wanting to serve on a national level, he declined them all. To further his personal and professional goals, Gregory served as a Texas delegate to the Democratic national conventions of 1904 and 1912. In 1910, he began working in Democratic Party circles to secure a presidential nomination for Wilson. He actively promoted a Wilson candidacy throughout his state—and because of Gregory's considerable influence, Texas went on to elect a delegation that would hold fast for Wilson at the Baltimore convention. In 1913, Gregory was rewarded for his efforts. President Wilson's attorney general, james c. mcreynolds, made Gregory a special assistant and asked him to spearhead an action against the New York, New Haven, and Hartford Railroad for monopolizing transportation in New England. Using his experience from the Waters-Pierce case in Texas, Gregory negotiated a settlement. As a result of his work, the railroad gave up control of several rail lines, trolley lines, and coastal shipping interests. 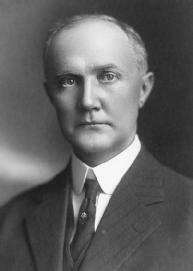 Gregory was named attorney general of the United States by President Wilson in 1914. McReynolds, his predecessor (and former University of Virginia classmate), created the vacancy by accepting Wilson's appointment to the U.S. Supreme Court. When World War I broke out in Europe, the first act of the Department of Justice was to create a war emergency division responsible for circumventing the work of agents of foreign governments, and preventing or suppressing violations of U.S. neutrality. When the United States entered the war, the roles and responsibilities of the Department of Justice and the FBI were expanded to deal with the enforcement of espionage, sedition, sabotage, and trading-withthe-enemy laws. The passage of selective service legislation further increased the department's reach. Reports from Gregory's tenure reveal that his officers arrested sixty-three hundred spies and conspirators; detained twenty-three hundred Aliens in Army detention camps; filed 220,747 actions against men who failed to comply with draft laws; and uncovered the activities of a group securing government and supply contracts through illegal means. Under Gregory, the Department of Justice also organized and oversaw the operations of a volunteer secret service called the American Protective League. In addition to his wartime responsibilities, Gregory continued to watch domestic issues. He initiated several antitrust suits, including actions against the International Harvester Company and anthracite coal operators. Gregory also secured reforms in the administration of federal prisons while in office. Like his predecessor, Gregory was eventually offered a Supreme Court appointment by President Wilson; unlike his predecessor, he declined. In refusing the vacancy created by the resignation of Justice charles e. hughes in 1916, Gregory cited his failing hearing and his inability to tolerate the confining life dictated by the position. Gregory liked to speak his mind and thought he would be unable to temper the expression of his opinions. On March 4, 1919, Gregory resigned from the cabinet at the request of President Wilson. During the war, Gregory had treated pacifists and other opponents of the war ruthlessly; his tough, no-compromise demeanor had been suited to the times. But, as the war drew to a close, Wilson and others wanted to replace him with an attorney general more suited to postwar needs abroad and peacetime needs at home. In a gesture of respect and esteem, President Wilson invited Gregory to attend the postwar Paris Peace Conference as an adviser. In the spirit of reconciliation, Gregory urged Wilson to enlist the support of Republican business leaders in the peace efforts and to include them on the advisory team. Upon his return from the peace conference, Gregory remained in Washington, D.C., and returned to the Practice of Law. But ill health and age forced a retirement after just a few years. He spent his last years in Houston, Texas, where he continued to advise local attorneys on antitrust matters and to lecture at the University of Texas. "Criticism of the courts for their administration of the war laws can hardly be called an attack on the form of government of the United States." Gregory died of pneumonia on February 26, 1933, in New York City, while on a trip to meet with president-elect franklin d. roosevelt. Anders, Ivan. 1989. "Thomas Watt Gregory and the Survival of His Progressive Faith." Southwestern Historical Quarterly 93. Gregory, Thomas Watt. Papers. Southwest Collection. Texas Tech University.